Escape to exclusive private properties on the Sunshine Coast and let us create a bespoke & personalised wedding. Catering for elopements to receptions up to 150 guests. Escape to exclusive private properties on the Sunshine Coast and let us create a bespoke & personalised wedding. 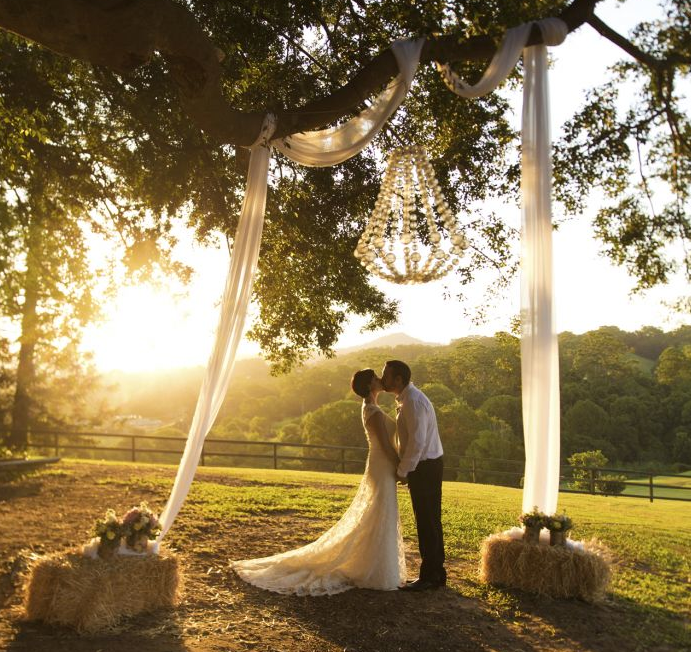 You can lose yourself in the heart of the Sunshine Coast with these beautiful Hinterland wedding venues. Surrounded by up to 200 acres of picturesque nature filled with views and a rustic twist. With properties catering from elopements to 150 guests, our exclusive properties will deliver beyond your expectations for your wedding day. The properties we work with offer flexibility with styling, byo alcohol and a wide range of menus from $35pp. Our exclusive venues are priced between $5900 and $7,000 including accommodation, exclusive use of properties, event management and RSA bar staff. Please note catering costs are an additional fee. L&L Co. will also release a beach wedding package in 2016, catering for a reception of up to 90 guests.